1. Son of Pahath-moab, who assisted Nehemiah in the repair of the walls of Jerusalem (Neh. iii. 11). 2. Another Hashub, engaged in the same work (Neh. iii. 23). 3. One of the chiefs of the people, who sealed the covenant with Nehemiah (Neh. x. 24 [A. V. 23]). 4. 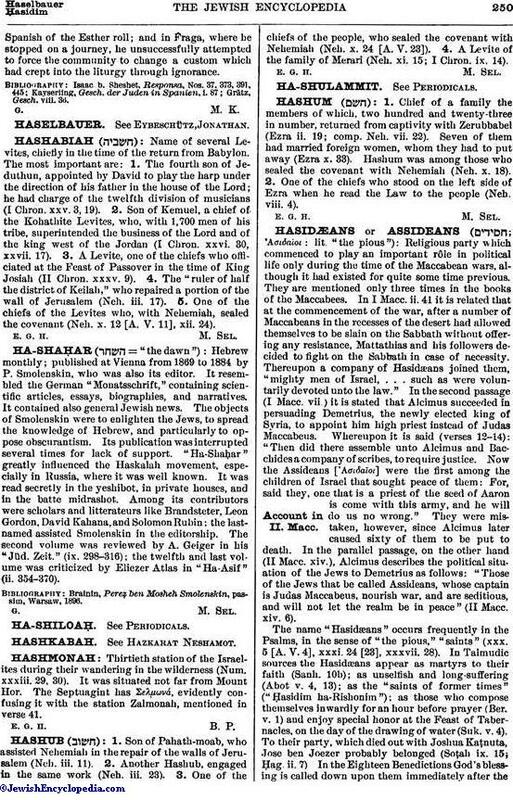 A Levite of the family of Merari (Neh. xi. 15; I Chron. ix. 14).